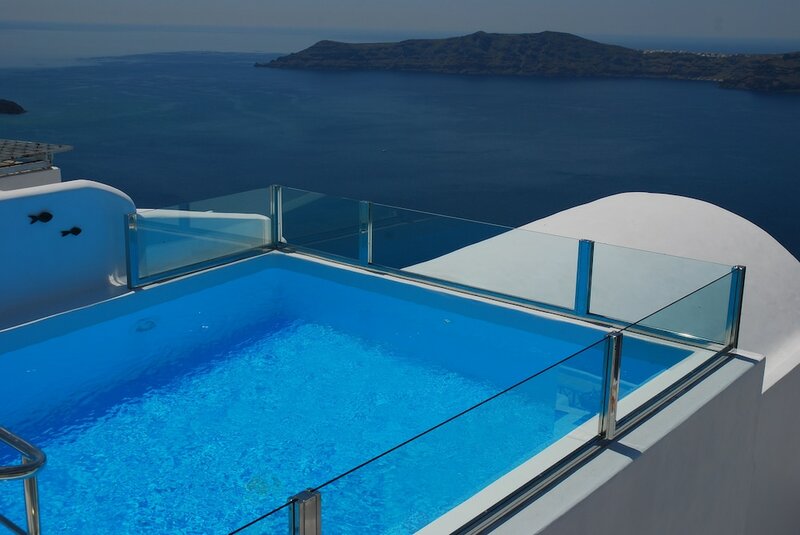 Heliotopos Hotel is a four star hotel located in one of the best areas of Santorini a few minutes drive from attractions such as the rock of Skaros, the archaeological museum, the wall paintings of Thera and Petros M. Nomikos Conference Centre. All rooms have sea views and are equipped with an attractive decor with amenities such as a fully equipped kitchen and a living room with comfortable furniture. The rooms have a balcony. You can also find a TV with access to cable channels and enjoy free wireless internet access. The cleaning of the rooms is carried out everyday. The reception area opens 24 hours. Offering additional services such as rental of rooms for social gatherings or weddings, transportation to the airport and the ferry embarkation point.